I put out two Skinner traps and three moths were found on the shed wall by the trap at the bottom of the garden. 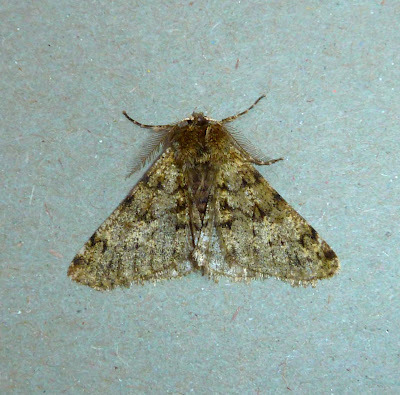 With the two pictured was a single Winter Moth, but no hoped for Early Moth. ............was not quite as good as I imagined with only three species recorded. 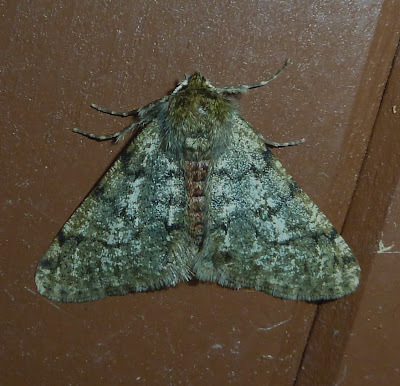 I was very surprised not to see Pale Brindled Beauty or even Winter Moth. On a more positive note, the twin tube trap light was still burning brightly having been on for over 16 hours! Other than the photographed we also caught two Chestnut. Never have we seen so many, an incredible 18 recorded. 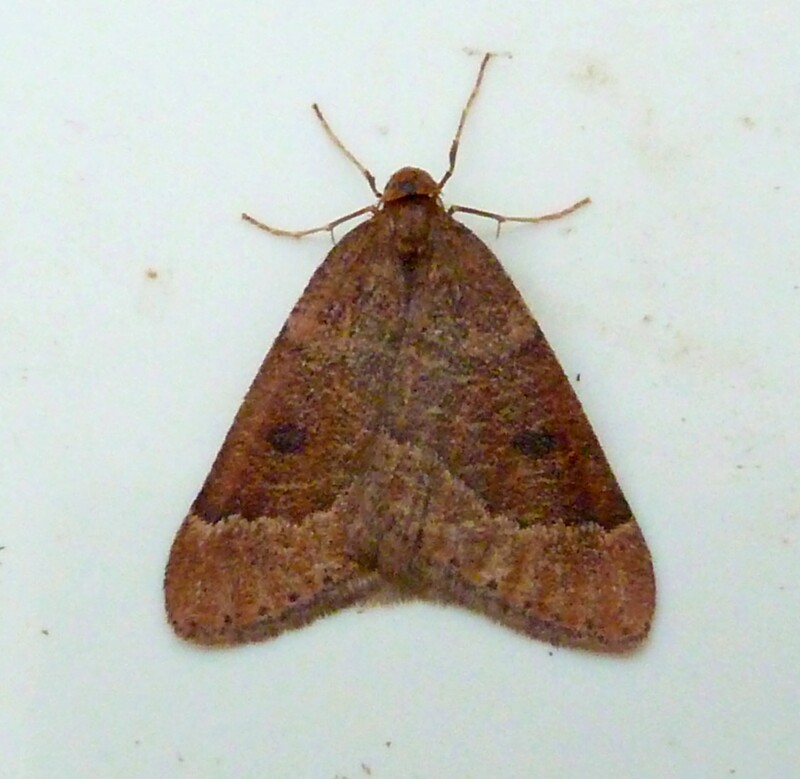 The site is surrounded on all sides by Hawthorn and Blackthorn so I suppose it's not that surprising. It is however, new for the site- which must indicate a very short flight period. Last year's visit was at the end of January. 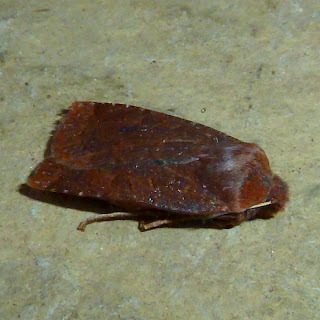 This almost escaped notice as it was very similar in colour to the egg boxes. 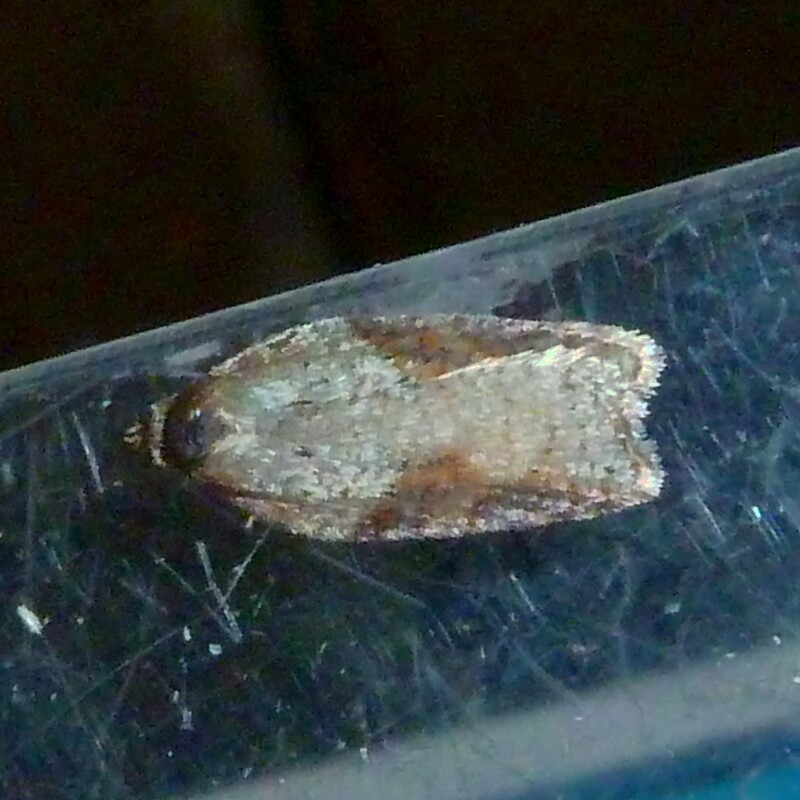 Looking at shape, colour and the areas of raised scales, I believe this to be Acleris kochiella. 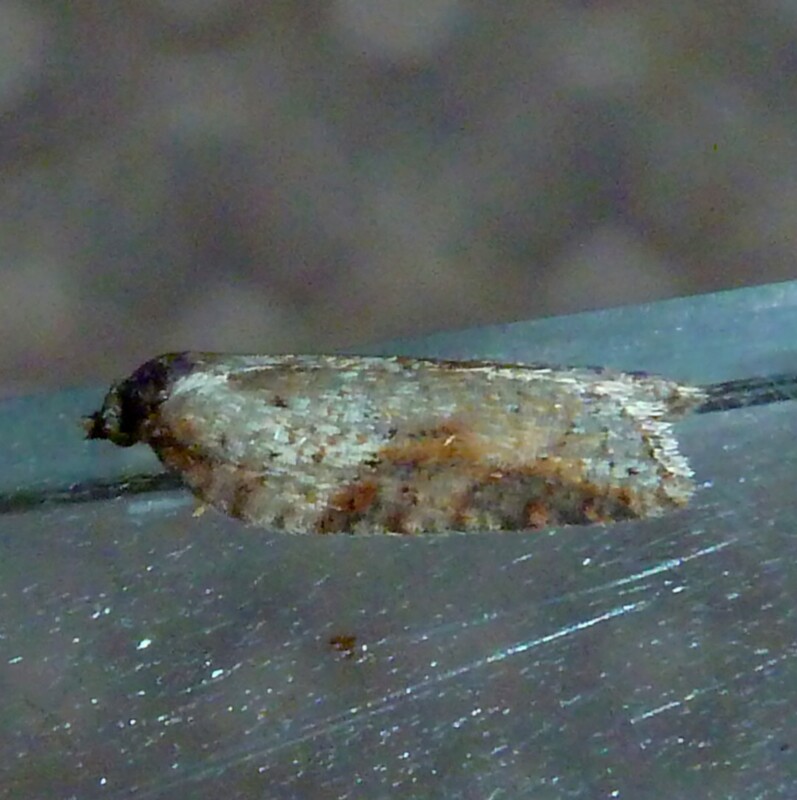 Even if it is logiana, it would still be new for the site, I have kept it just in case it cannot be IDed by photos alone. N.B. 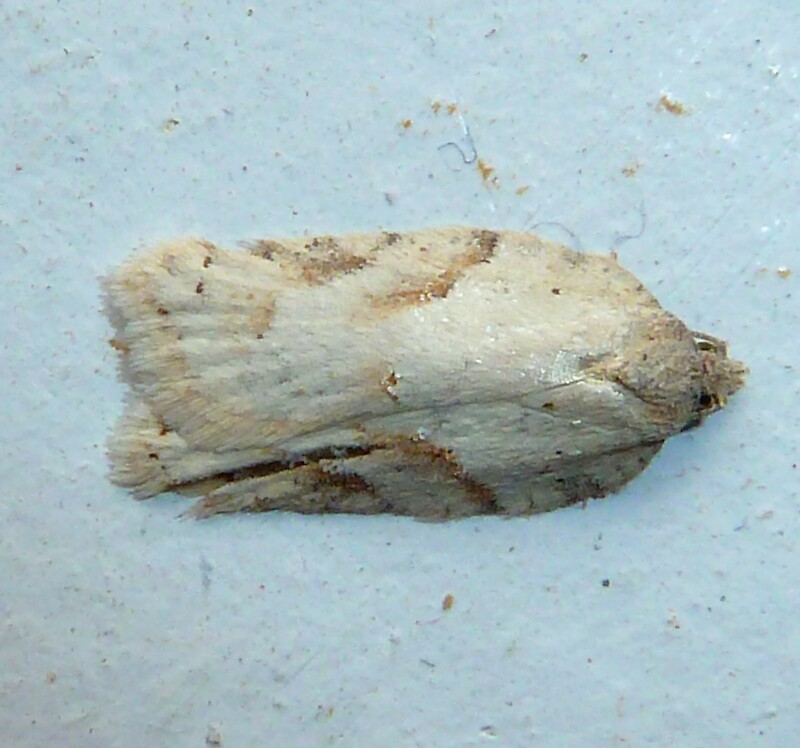 Having read further, A. kochiella is double brooded and it seems only the Summer generation is white. The over Wintering 2nd generation is usually much greyer. If this is always the case, the moth would have to be Acleris logiana. I have sent these images on to the recorder for confirmation. .........now confirmed by David Manning, VC30 Micro Recorder. At home I recorded a Winter Moth, which was new for the year- giving me 5 garden species so far. 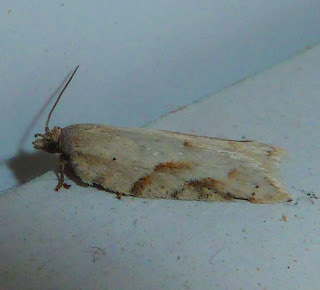 Into 2013, Garden Trap + one to ID? ................And a Happy New Year to all. It seemed like a good time for a first attempt at trapping in the garden. So with temperatures hovering around 10°C, I put out a twin actinic skinner and hoped for the best. 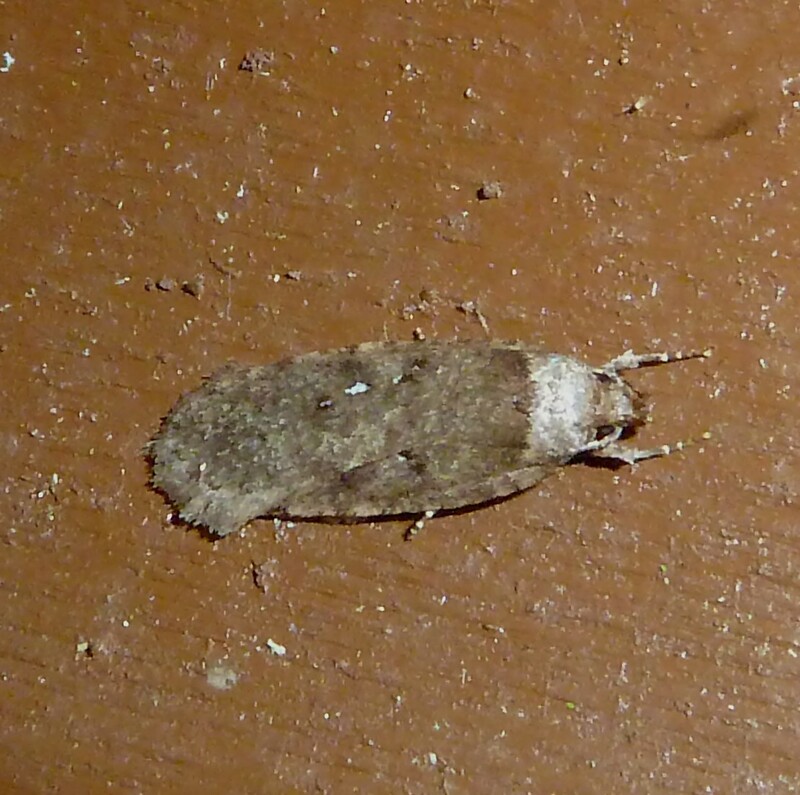 Found on the shed wall by the 15w BLB bulb. 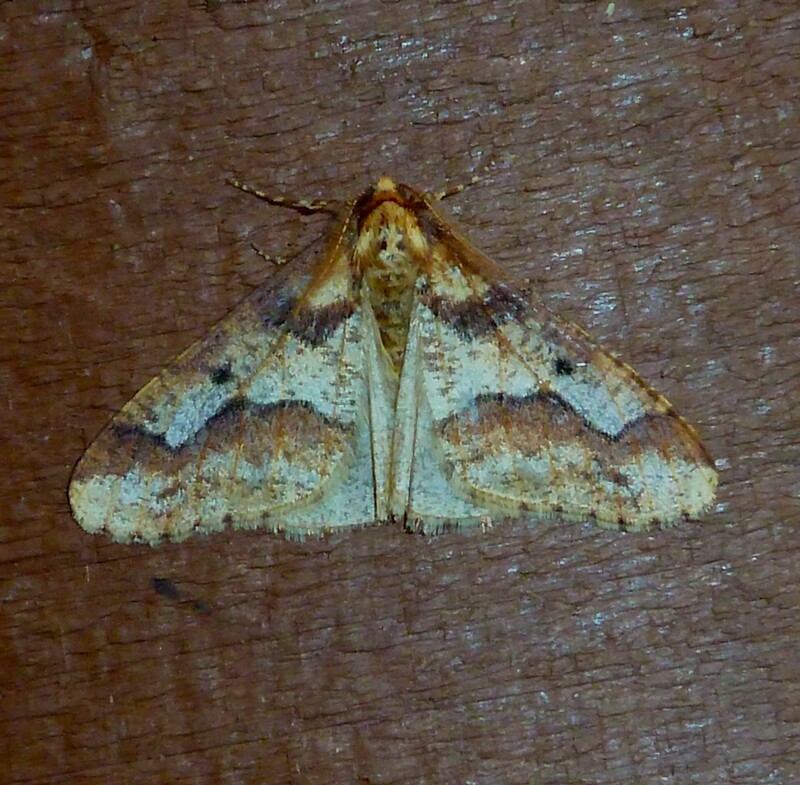 One of two found in the skinner trap at the top of the garden. Found in the skinner, but a little worn. Any ideas? Photos taken in poor light and then flew whilst trying to get a better shot. 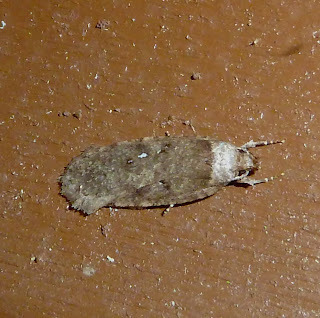 On the small side for an Acleris.